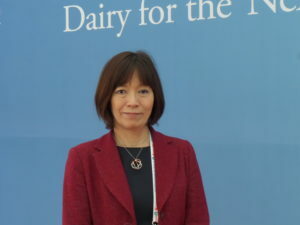 An increase in milk consumption is associated with a reduction in salt intake based on studies conducted on the diet of the Japanese by Professor Nagako Okuda. 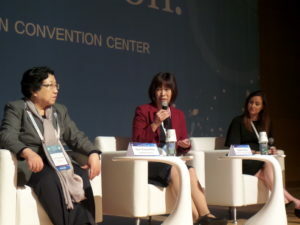 She shared her observations at a conference on Nutrition and Health on 18 October 2018 during the IDF World Dairy Summit in Daejeon, South Korea. Professor Okuda explained that people who consume less salt tend to consume more milk, while those with a higher potassium intake are inclined to consume more milk. This characteristic can help in the adjustment of diets to improve health, she noted. Professor Okuda pointed out that a lower intake of fruit and milk may explain the lower potassium intake among the Japanese who began milk consumption only after Second World War, which contributed to improvements in nutrition by increasing the intake of proteins and other nutrients. Professor Okuda said the World Health Organization recommends a potassium intake of at least 3510 mg/day for adults to reduce blood pressure levels and cardiovascular disease (CVD), whereas recent Japanese average potassium intake is around 2100 mg/day.